This will be a two part meeting. The first part will look at amazing new printing technology. The second part will be a place you can go in downtown Cleveland and get your hands on the latest technology and learn how to use it. A 3D printer? Who prints anymore? We are not talking about your father's laserjet or inkjet printer, we're talking about a printer that can print three dimensional objects that you can hold in your hand. These can be 3D buildings, tools, machine parts, whatever you can think of. There are even printers that print with chocolate ink to make candy you can eat. Our first presenter will be Rick Pollack of MakerGear LLC, a local company, which was founded to develop products and services for the rapidly expanding maker community with a focus on advancing digital fabrication (aka personal or desktop fabrication). There are deep reservoirs of pent-up creativity and talent and MakerGear is going to unleash it! As personal fabrication matures and becomes readily available, the ability to create new products will be less about access to capital and more about know-how. 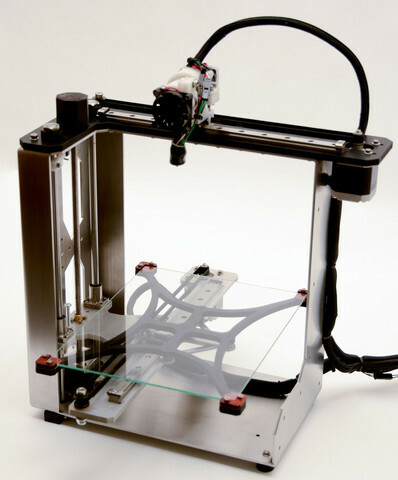 MakerGear will be bringing one of their printer and it will be printing during the meeting.